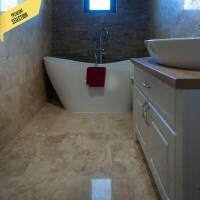 For the living room flooring, kitchen wall and bathroom, natural stone - travertine and SKIN flexible slate - was used. 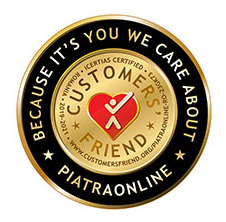 "Once again the contractor recommended it for us, because he was familiar with PIATRAONLINE products. He often visits the showroom and buys" says Cristina. 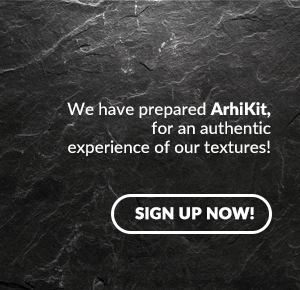 So, they visited the showroom and selected together the materials, assisted by a natural stone expert - who is actively involved in each project from the beginning. 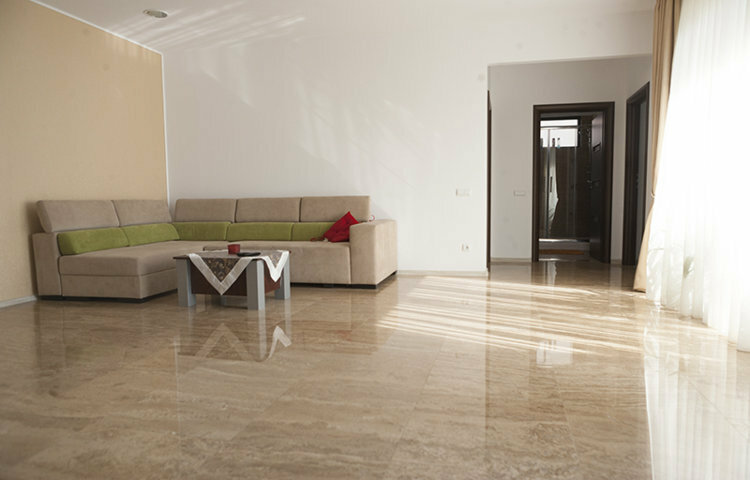 The design influences are contemporary - minimalist and spacious lines and travertine was one of the options because, thanks to a polished finish and relaxing color, will illuminate the space and generate the feeling of increased space. It is a popular with a warm look, resembling wood or milk coffee, in relaxing creamy shades and extremely easy to integrate into spaces with different looks and purposes. 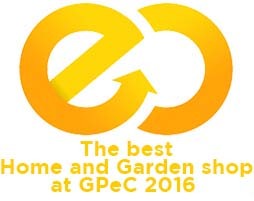 Also read about 2016 natural stone trends! "For this decoration project, we decided to use underfloor heating, with the travertine being a perfect choice, since it add a warm feeling in my home" confesses Cristina, who also used travertine cladding for the bathrooms. 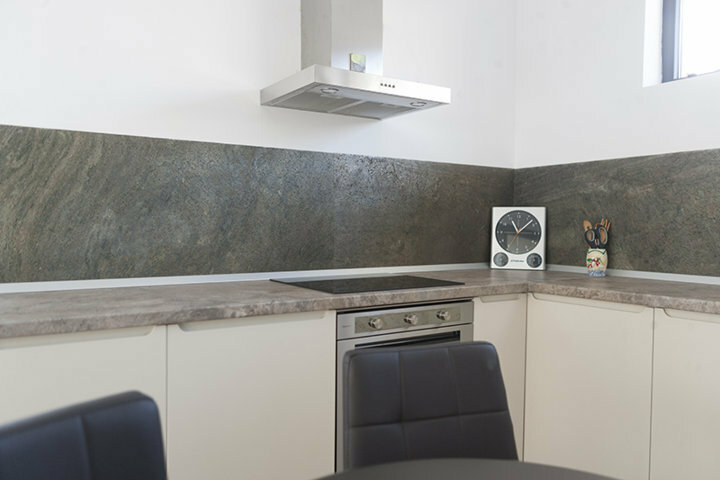 Another choice for this decoration project was the SKIN flexible slate Jeera Green. 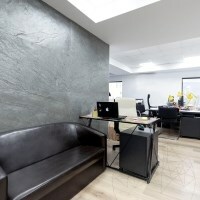 "I remember choosing this flexible slate as soon as it was brought to the showroom. I think I was the first customer to buy it – it still had no price tag! I used it successfully for cladding the cooking area in the kitchen. Later, we matched it with the countertop." Flexible slate is a natural, innovative product based on German technology that allows natural slate to become ultra-slim, flexible in the shape of a strip. It has many uses: it can be applied to almost any type of surfaces, including atypical or difficult shapes, and is also recommended for wet spaces such as bathrooms. 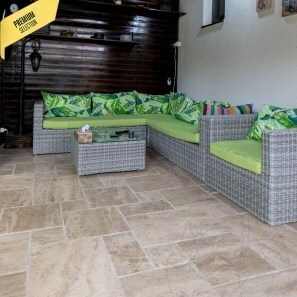 For further details on the types of travertine best suited for flooring or promotions for SKIN flexible slate, give us a call at +40318.222.333, or send us an email at export@piatraonline.com!